An inguinal hernia occurs when tissue, such as part of the intestine, protrudes through a weak spot in the abdominal muscles. The resulting bulge can be painful, especially when you cough, bend over or lift a heavy object. It doesn't improve on its own, however, and can lead to life-threatening complications. What are kinds of hernia? *Inguinal hernia:most common among men. *Umbilical Hernia: most common among children women due to repeated pregnancy. *Surgical Hernia:due to previous surgeries in the abdominal wall. *Appearance of protruding area in the place of a hernia. *Pain due to a protrusion of intestine from the abdominal cavity. *Pressure on surrounding tissues: Most inguinal hernias enlarge over time if not repaired surgically. *Incarcerated hernia: If the contents of a hernia become trapped in the weak point in the abdominal wall, it can obstruct the bowel, leading to severe pain, nausea, vomiting, and the inability to have a bowel movement or pass gas. *Strangulation: An incarcerated hernia can cut off blood flow to part of your intestine. Strangulation can lead to the death of the affected bowel tissue. A strangulated hernia is life-threatening and requires immediate surgery. *Umbilical Hernia in children is not treated except after 3 years or if its size is too big or causing problems. 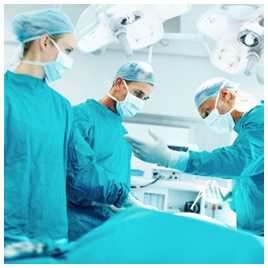 *Rest of hernia kinds is treated surgically by repairing the weak area and returning the protruding content back. *Most probably, the weak area is closed by a surgical mesh. And repair is done by open surgery or endoscopy.